Servers» Advertise your server!» [EN/ES]GTM:Clan-Wars! 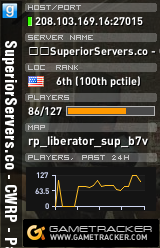 Liberty Unleashed » Servers » Advertise your server! » [EN/ES]GTM:Clan-Wars!